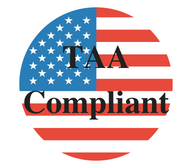 TAA Compliant DCIM Software (Data Center Infrastructure Management) are software solutions for managing data center infrastructure and the resources it uses. When properly deployed, DCIM can optimize both the physical infrastructure and the operations of a data center. StruxureWare Data Center Expert is an infrastructure management software that collects, organizes, and distributes critical alerts, surveillance video and key information, providing a unified view of complex physical infrastructure environments from anywhere on the network. Eaton Intelligent Power Manager (IPM) software provides the tools needed to monitor and manage power devices in your physical or virtual environment. This innovative software solution ensures system uptime and data integrity by allowing you to remotely monitor, manage and control UPSs and other devices on your network.